The businessman is that who knows what he is talking about, and what he mean, because he deals with a number of simple wants. Accurate actions depends upon accurate thinking. The goods businessman must be able to grasp his problems by treating them quantitatively. Besides quantity and the nature of his product, the businessman must appreciate time. He must always thinking in terms of time. Actions cannot be taken in complete isolation from each other. There is also a chain of actions, which must fit in with the rapidly changing desires of the ultimate consumer. This makes it vital to be able to visualize the various actions in their places in time. There are no hunches in business, but all actions depend upon figures and facts. The businessman who has given adequate attention of quality and time will always be ready to make the most of each opportunity as it arises, and to look ahead as far as he needs. A businessman keen on success must keep in with the world, and not keep himself to himself. He should move about and see what is going on for he has to gauge new wants and new inventions for creating fresh wants. In this sense he is to be merchant. For selling goods, which have been produced requires character and knowledge. Even to decide what sort of articles to try and produce with his machinery. The producer must be something of a merchant. He must be wide-awake and meet the existing demands and be in a position to create new ones. In order to adequately satisfy consumer demands, the businessman must be honest. Misfit sales may be forced for a time by high pressure salesmanship or misleading publicity, but they will not maintain themselves; for each sale installs in the possession of the buyer an article which begins at once to educate him as to error he made in acquiring it, and there is little likelihood of a second order. But if the seller uses all his ability to provide precisely what is wanted, he makes goodwill for himself. This honesty and optimism which goes with it are attributes of the businessman at his best. 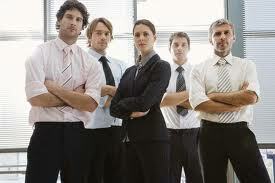 Another notable quality of the businessman is ability to co-operate with a large number of other. He must be able to compromise, adjust, adapt and be willing to admit that his judgment may on occasions be wrong. Besides he must be temperamentally fitted to exercise a divided authority. He shall be a goods businessman, if he can place himself in the shoes of other people inside his own business so as to see into the minds of customers who are outside it. Having once brought an organization into existence the businessman should use every effort to hold it constant and dependable, so that those who work under it know what to expect, as it remains unfluctuating from day to day. At all times everybody knows what can and what cannot be done. What is expected of him and what somebody else will do and can adapt himself accordingly. A dependable businessman has satisfied co-workers who are inevitably loyal to him and the unit directed by him. A bountiful endowment of physical and nervous energy is another requisite without which other qualities are hardly of any value. As in any other activity so in business, infinite capacity to taking pains is essential. In addition to possessing an abundance of energy, he should possess forcefulness enough to put across his ideas and suggestions, which he believes to be right. All talents are greatly enhanced in value when to them is added moral character, because this gives the promise of energy, loyalty and steady growth in ability and economy in supervision. Such a person, in the words of Professor Hocking, will “through his eye, through his voice, through his gestures, through the substance of what to say, through absorption in his work and belief in his mission infuse his own, state of mind into his men.” He will avoid any sort of double-dealing, either with his associates or with the rank and file. All false dealing is futile; and it is absolutely destructive of loyalty.